Welcome! 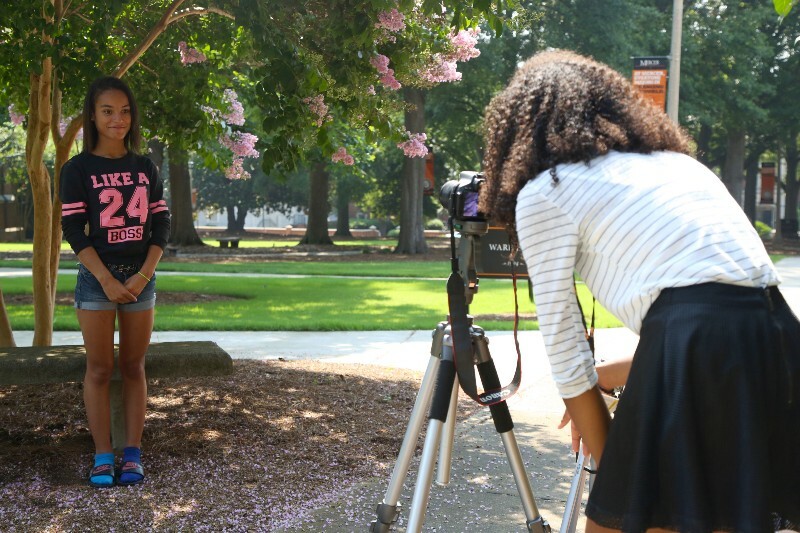 This site is the result of a collaboration between two summer camps held at Mercer University in Macon, Georgia in 2016: The Otis Redding Foundation’s Otis Music Camp and the Center for Collaborative Journalism’s Digital Media Summer Camp. Every year, high schoolers (and even a few younger kids) at the Otis camp compose, rehearse, perform and record original songs; at CCJ camp, high schoolers shoot and edit documentary-style videos with accompanying articles and photos. This year, CCJ campers turned their cameras on Otis campers. Learn more about the project HERE and watch the videos below. Chelsea Harris: Otis Music Camp 2016 from Mercer CCJ on Vimeo. Kirsten Beach: Otis Music Camp 2016 from Mercer CCJ on Vimeo. Collin Tolbert: Otis Music Camp 2016 from Mercer CCJ on Vimeo. Jayla Kelley: Otis Music Camp from Mercer CCJ on Vimeo. Chemere Duhart: Otis Music Camp 2016 from Mercer CCJ on Vimeo. Edward Walker: Otis Music Camp 2016 from Mercer CCJ on Vimeo. Ariana Rivas: Otis Music Camp 2016 from Mercer CCJ on Vimeo. Floco Torres: Otis Music Camp 2016 from Mercer CCJ on Vimeo. Joiterius Marshall: Otis Music Camp 2016 from Mercer CCJ on Vimeo.